Don’t get frustrated trying to find the best hardwood floor refinishing Gates Mills OH has to offer. There are countless DIY “got to try’s and conflicting advice from professional hardwood floor refinishers all over the place. All you really need is to call us! Read on to see how we will bring back the beauty of your wood floor without breaking the bank! 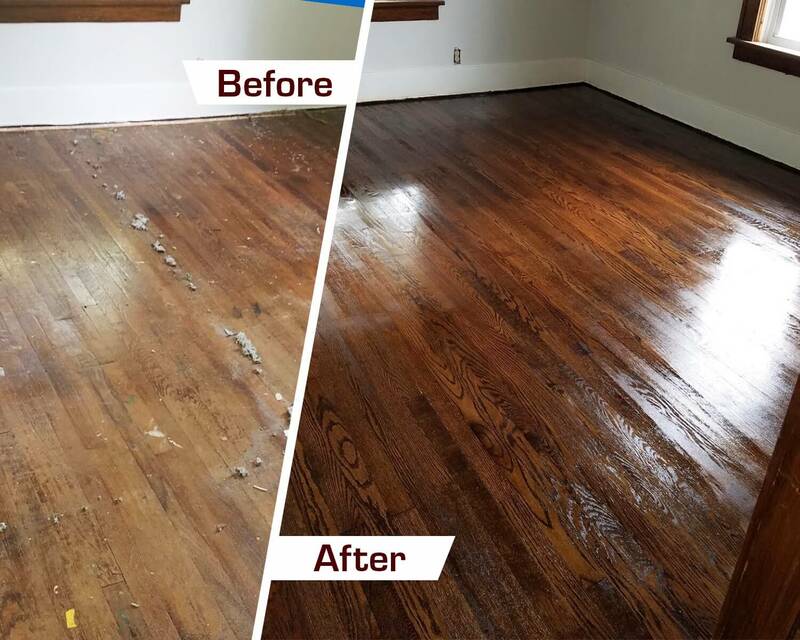 Years and years of experience have allowed us to develop the most effective system for hardwood floor refinishing in Gates Mills, OH. First, we get rid of any remaining carpet from your floors. Next, we use a special solution that removes any residue left behind. Then we sand down the existing wood floors to remove scratches, marks, or other imperfections. Once sanding is done, we stain the wood with your choice of our many stain colors. Lastly, we apply a strong polyurethane finish to your wood flooring. This adds a beautiful gleam to your hardwood floors and helps protect them from future dings and scratches. Our customer service reps are always available to take your call and provide an estimate for our hardwood floor refinishing services or answer any questions you might have.